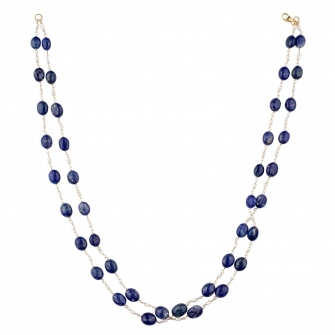 Exquisitely designed, this blue coloured silver sterling necklace looks just iconic. 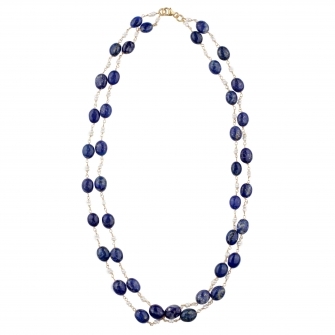 A distinctive piece of artistic jewellery which defines your feminine personality, this necklace is embellished fresh water pearl and lapis lazuli. It is a piece of timeless tribute to the contemporary fashion. With unsurpassed brilliance, this excellent piece has superior craftsmanship, precise cuts and complementing colour. At once striking and classy to wear this masterpiece can be the highlight in your wardrobe. 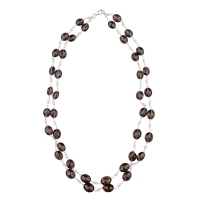 This necklace exhibits a classy shine and pro-crafted finish. It is embellished with rare gems which enhances its lusture and makes it perfect for daily wear. 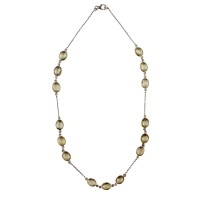 This silver sterling necklace is light in weight and definitely a worthy pick. 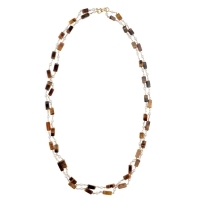 Team this necklace with your favourite evening attire to justify its beauty.